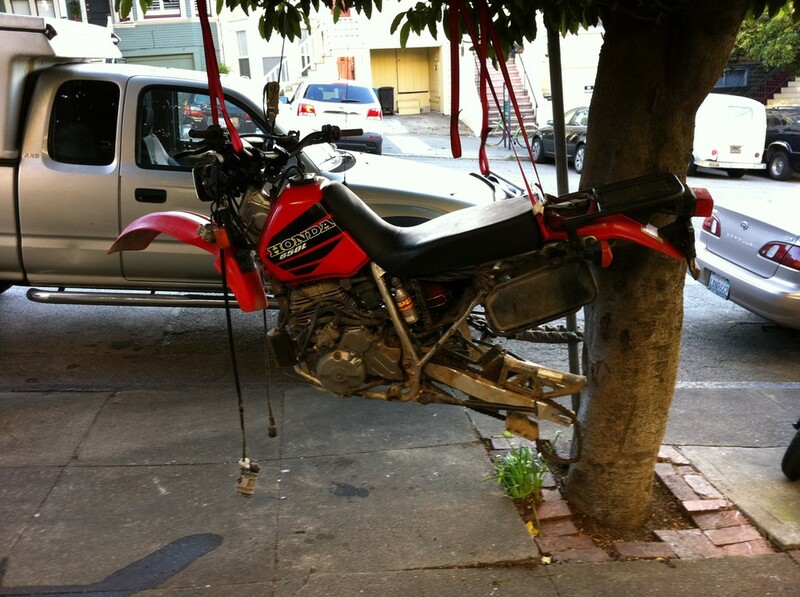 So I’m out for a walk with my special ladyfriend this evening, and as we’re heading up Vermont into Potrero Hill we come across this Honda XR650L hanging from a tree. I have to admire this person’s resourcefulness – I don’t have a good place to work on my bike either, but I also don’t have a tree. I do have to wonder, though – what will the neighbors say!?! ?